And whether you believe the resume is a dying breed (hint: it’s not as long as employers want to find out about you without having to spend minutes perusing your information) – you’ll always have to be able to present yourself and your abilities. Now imagine having talents and interests that go in multiple directions, such as the multi-talented Renaissance Personalities. And let’s say you want to actively pursue several of these directions simultaneously. I know this is not an exceptional situation for many of you. In reality, this means you’ll need to create as many versions of your resume as there are positions that you want to pursue. • Decide which 2 or 3 directions/fields you want to pursue now, and which later. Focus on the now. Chasing more areas of interest at once will leave you exhausted and frustrated. • Adopt the idea of creating 2 different kinds of resumes; one for yourself and one you send out into the world. This means you’ll end up with multiple versions of the one you’ll use to send to employers, and one for you. Make sense? 1 – Create a resume that will forever stay in your files. This resume can be as long as you want it to be. Include all the jobs you’ve ever held. Yes, even the 3-month stints from back in the days. List all the courses you took, finished or unfinished. All the volunteer work, the projects you were involved in. And, don’t forget; your skills. The list goes on…you get the idea, right? Note that these are not necessarily the same headings you’d use on a resume you’d send out to an employer. Some are, some aren’t. This resume is more of a life story than a resume. Never mind resume styles and formatting and other resume “rules.” That’s not what this one is about. This is also not a project you’ll do in one afternoon. You’ll start remembering experiences and jobs you had forgotten about once you start the process of writing it all down. • Once your listing is complete, take a step back for a few days and revisit your list with fresh eyes. See if you can spot themes. And transferrable skills. Write these down on a new piece of paper. • Now start working on the version of your resume you will be using to send out to employers and contacts. • Work on one resume at a time. Begin with the position or field you’re most interest in or want to pursue first. Find out as much as you can about the requirements. Now peruse your list of transferable skills and themes and see what you have to work with. That is, besides directly applicable experience you may have. The point is; you want to make sure you highlight anything that’s relevant to this position/company/industry. But not more than that. 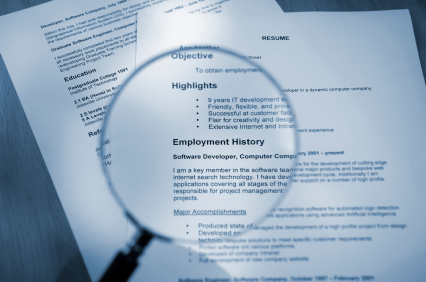 The key to a successful resume for Renaissance Personalities is to focus, focus, focus. As counter-intuitive as that may sound. You don’t want to confuse people with all sorts of unrelated information. They need to very quickly be able to grasp how you’d be a great fit for this position. As you may begin to see, research and networking are vital for RPs. The more you know about the requirements, and the more of an “in” you have with a company, the better you can position yourself. And thus the better your odds are of landing an interview – and the job! Of course, there may be positions that specifically ask for cross-disciplinary experience. Right up the RP’s alley! This is where you get to play up your multiple talents and diverse experience. However, always keep the reader in mind. Put yourself in their shoes. If you were hiring for this position; what would you want to know? What’s truly important and what is more of a distraction? Pick and choose from your diverse background. Then, repeat the last step for the next position you want to pursue. Depending on how different it is from the first, you may have to either completely rewrite your resume, or maybe just tweak it here and there. The bottom line is that you want to be aware of the wealth of knowledge and skills and experience you have. We often take for granted what comes easy and what we’ve done only for a brief period. But all these pieces may come in handy. The other thing I want you to remember is to then focus your resume and always keep it relevant. Work on one at a time and you’ll make your life a little easier. No, I’m not pretending that creating resumes for RPs – or anyone! – is easy and that you can do it in less than 2 hours. This process will likely take several days, if not longer. Chip away at it. Let it sit for a while. Sleep on it. Of course, I’m available if you want to hire me to work on your resume together and have me create it from scratch. But in case you want to do it yourself, these tips will get you off at the right track. Good luck! Let me know what has worked for you so far, ok?